Sophia Michael is a University of Warwick UK MA graduate and is the Languages Department Coordinator at Intercollege Larnaca, Cyprus. She has been teaching a variety of English Language courses for 15 years, including Academic Research and Writing and Business Communication. She has always been fascinated by the automation of payment systems and in March 2013, started actively researching on payment systems in Cyprus during the banking crisis. Having a close network with employees in the banking sector in Cyprus, she conducted a series of interviews and collected primary research data on payment systems in Cyprus. She co-wrote "When Cards and ATMs are the only choice: A fortnight in Cyprus with no banking system nor trust." (MPRA working paper. University of Munich Library.) which was also posted in the Cashless Society blog and ATM Marketplace. She is a contributing author of a book in progress “The Book of Payments: Historical and Contemporary Views on Retail Monetary Exchange” (Working Title). 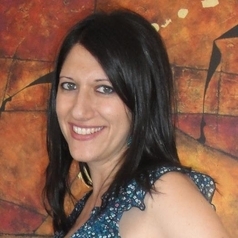 She is also researching on the introduction and development of contactless payments in Cyprus and Bitcoin.